It seems like times have changed since I was a kid, after a primary school was forced to apologise after sending a crude text message to parents. But don’t worry guys, it was all just a hilarious mistake. 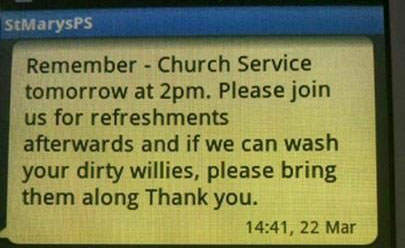 Six minutes later they posted a correction saying the message was meant to specify they could wash ‘wellies’ not willies. 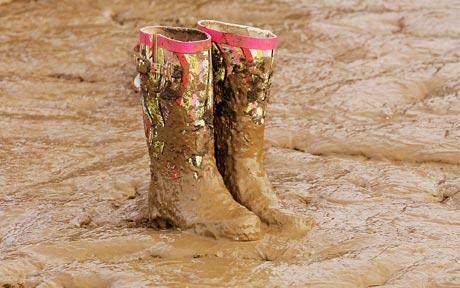 I am so sorry it’s WELLIES!! WELLINGTON BOOTS. Sincere apologies for any offence caused. The text message, was sent from ‘St Mary’s Primary School’ – although the exact location of the school is not clear. It was uploaded to Twitter by user @S_Jones76, with the caption ‘My favourite typo this Easter weekend’ and has now been retweeted more than 500 times.